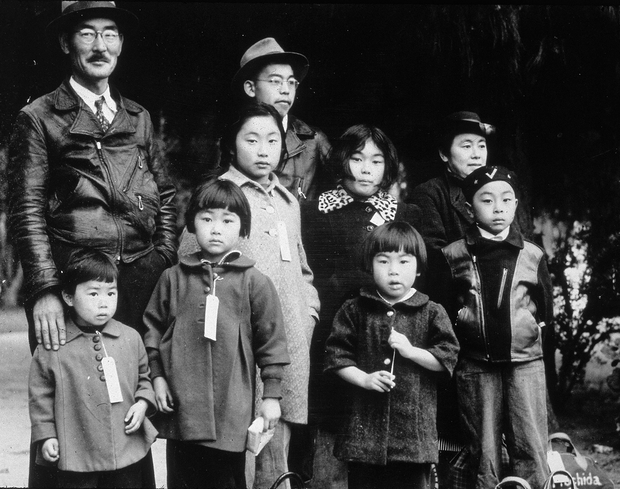 Members of the Japanese-American Mochida family awaiting re-location to a camp, 1942, Hayward, California. Kaiser and Jeremy recorded today’s show from New York, where they waylaid Holly Chang, founder of Project Pengyou and now Acting Executive Director of the Committee of 100, for a discussion on spying, stealing commercial spying, spying, and Broadway. Yes, you read that right. After catching the Broadway musical Allegiance, about the Japanese-American internment camps in WWII, we wanted to do a show discussing the experiences people of Chinese heritage have with racial profiling today, and particularly the experiences of the Chinese diaspora community in the United States.